Over the past few years summers have been a little more quiet. The days of summer vacations seem to have been bypassed for off-season travelling (it’s cheaper!) So during the summer, we would find ourselves opting for more casual, laid back, and affordable ways to have fun – whether it was a game of mini golf or a backyard BBQ. The warmer weather is a perfect time to head out to a park friends and family over for an backyard part. It’s been hot out here – very hot. The kind of hot where you feel like you might burn your feet if you walk on cement barefoot. What better way to cool off while celebrating the heat than with a Tropical Splash Summer Celebration. This would be a great way for us to get together and beat the heat with some yummy treats. When I arrived, I made my way through the aisles, picking up more items than were actually on my list (which, I’ve come to accept, is an inevitable result.) 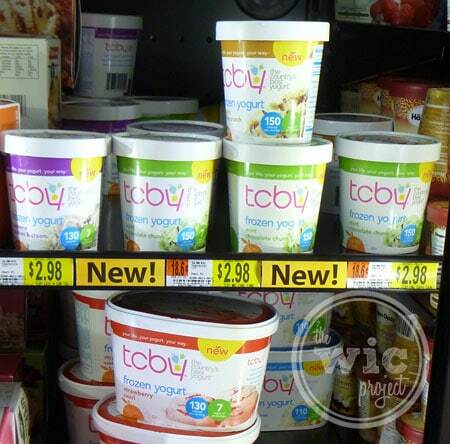 Finally I made it to the freezer section and found the TCBY Frozen Yogurt. Strawberry. Mint Chocolate Chunk. English Toffee Crunch. But no Tropical Peach Mango. Either this Walmart didn’t carry them or they used to carry them but were sold out by the time I got there. Un-phased, I picked up the next closest flavor to tropical – Strawberry. When we got back, we set-up our Tropical Celebration. 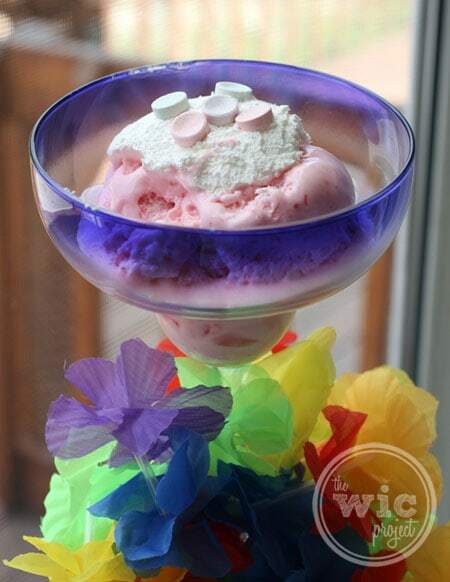 I used Margarita glasses (you can also use plastic ones) to serve the frozen yogurt, then dolloped on some whip cream and topped it with Smarties. 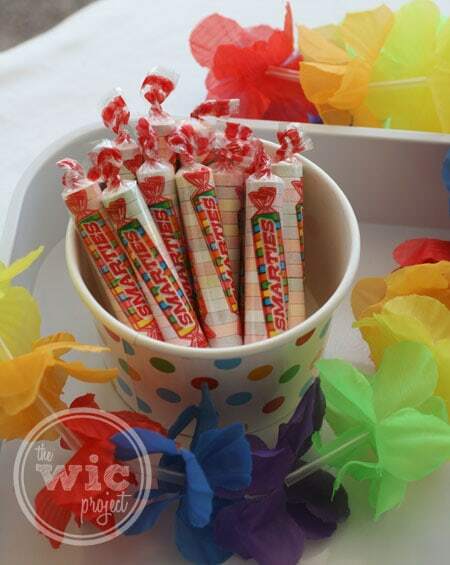 Tropical Smarties would’ve been a great topping, but sadly they were no where to be found. 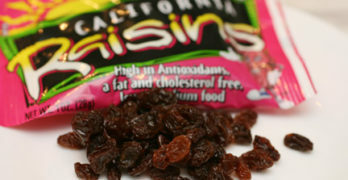 You can also use pineapple, bananas, or fresh strawberries as a topping. I tried to find those cute paper umbrellas but those were a no go. I’m going to have to stock up next time I see them. This was the first time I got to enjoy TCBY Frozen Yogurt out of the store and it did not disappoint. It was perfectly smooth with just the right amount of sweetness. I LOVE the strawberry syrup swirls that are mixed throughout the frozen yogurt and the flavor is spot on. You can add toppings if you want, but it taste delicious as it is. Our Tropical Splash Celebration turned out to be more tropical in spirit than in…frozen yogurt, but we still had a lot of fun. 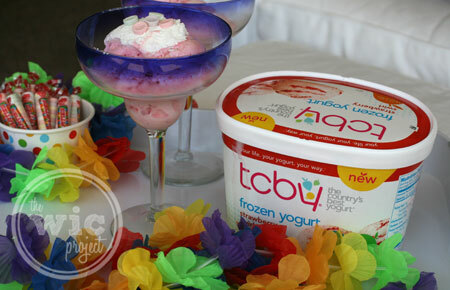 The TCBY Frozen Yogurt was delicious and was the perfect way to help beat the heat! 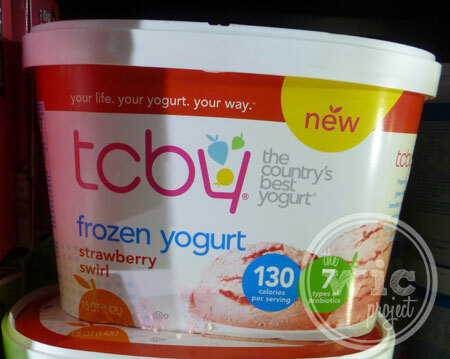 To learn more about TCBY Frozen Yogurt, you can join the #TCBYGrocery Twitter Party this Thursday, June 28, 2012 from 1:00pm – 2:00pm EST. Follow TCBY and Smarties online to get the latest news and updates! Disclaimer: I am a member of the Collective Bias™ Social Fabric® Community. This shop has been compensated as part of a social shopper insights study for Collective Bias™ and TCBY #CBias #SocialFabric #TCBYGrocery. Very nice pictures. You are so creative. What a tempting TCBY Frozen Yogurt treat! I love the tropical flair! What a delightful treat you created with TCBY Frozen Yogurt! My family is thrilled that we can pick it up in Walmart now! All of the flavors sound so yummy! Those look so good! Can’t wait to give them a try! 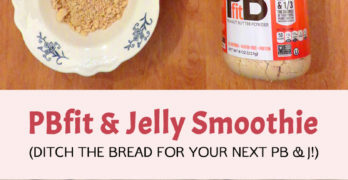 I have never tried this yogurt it sounds delicious. My absolute favorite is frozen yogurt! The best to have during these hot and humid days in Florida!